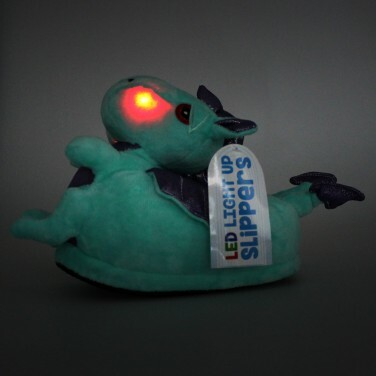 Enjoy toasty toes on cold winter nights in a pair of dragon slippers! 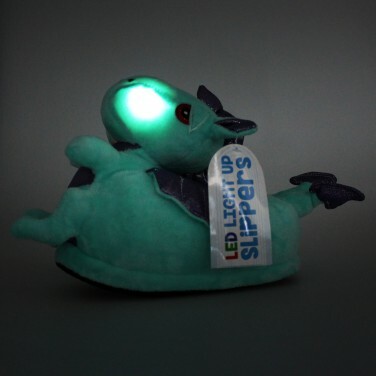 With a cosy turquoise plush and purple glittered detail, these adorable slippers not only keep your kid feet snug, but they have light up cheeks too! 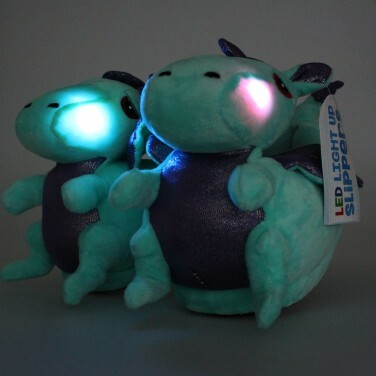 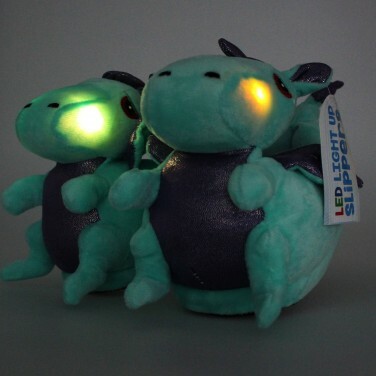 Press the arm on each dragon, and their cheeks will light up with colour change light adding extra fun to cosy winter nights! 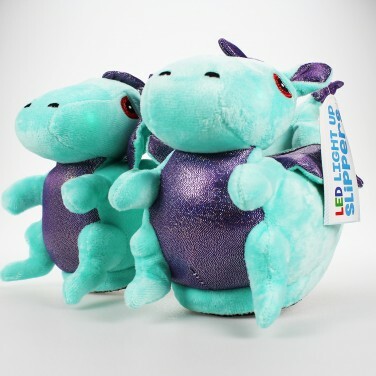 Suitable for kids sizes 11-4, be the envy of grown ups in these cuddly dragon slippers.